Dedicating his life in service and loyal devotion to his profession, Charles Buren Sigmon, 80, passed away on Jan. 11, 2010, in the midst of friends and fellow educators. Born June 3, 1929, in Hickory, N.C., Charles was the son of Russell Edwin Sigmon, an educator for 42 years, and Maggie Whitener Sigmon. His formative years were spent in Troutman, N.C.; he graduated from Statesville High School in 1947. After attending Mitchell College, Charles graduated from Lenoir-Rhyne College in 1951 with an A.B. in Business Administration. Possessing a beautiful voice, Charles sang in the a capella choir. He was a member of numerous fraternities, including Gamma Beta Chi, and he later obtained his M.A. from Appalachian State Teachers College. Throughout his life, he was devoted to his beloved Lenoir-Rhyne Bears, attending football games and endowing scholarships at Lenoir-Rhyne and Stanly Community College. 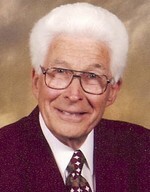 He was a life-long Lutheran, serving on church council and teaching Sunday school. Charles was a veteran of the Korean War, serving faithfully the country he so loved. For 35 years, Charles was an educator who touched the lives of countless students, school personnel and members of the community as a public school teacher, principal and administrator. He taught throughout North Carolina, becoming principal of Sharon Elementary School in Iredell County and then moving to Charlotte-Mecklenburg as principal of Davidson Elementary School. Moving to the position of administrative assistant in personnel, Charles was instrumental in hiring many current Charlotte-Mecklenburg employees. However, after several years in the central office, Charles missed the children whom he loved so much, so he asked to return to his former position and opened Winterfield Elementary School, serving as principal for 24 years until his retirement. Throughout his life, Charles received numerous honors and distinguished service awards. Among these were Eagle Scout, President of the Division of Principals of the NCAE and Division of Principals/Administrators NCAE Principal of the Year 1983, 1987-88. He was active in local, state, and national educational associations and Phi Delta Kappa. He served in various capacities throughout the years in the Division of Principals, NCAE, NEA, Charlotte-Mecklenburg Unit of Elementary Principals, NEA-R, Charlotte-Mecklenburg Retired School Personnel, Iredell County Concert Association, Troutman Lion’s Club, Queen’s Crest Homeowners Association and as a state delegate to NEA/NEA-R conventions. Charles was on the Alumni Board of Lenoir-Rhyne University, serving as President of the Alumni Association from 1985-1986. He was instrumental in creating the Charlotte-Mecklenburg Friends of Education. Charles was legislative chairman for CMRSP for more than 10 years, working closely with state representatives and lobbyists, gathering information and sharing ideas, concerns and solutions primarily regarding health care and retirement benefits. As a friend and colleague remarked, "When Charles spoke, people listened." Possessing a keen business sense and a desire to make sure everything was done properly and correctly, Charles instilled a sense of respect, responsibility and commitment, putting his all into everything he did. Charles loved gardening, golf, tennis, swimming and dancing. But most of all, he loved and devoted his life to education. Throughout his career, Charles was known for his exemplary and professional leadership, prominent achievement, challenging innovative practices, inspiring administrative vision, cooperative program planning and dynamic public relations. His happiest moments were spent with family and friends and in unselfish service to others. Mr. Sigmon is survived by his wife, Mary Frances Johnson Sigmon, of the home; daughter, Mary Elaine S. Nelson and husband, Kenneth, of Albemarle, N.C.; granddaughter, Randall Christine Elmo of Chapel Hill, N.C.; stepson, Joe Miller, of Statesville, N.C.; stepson, Bill Miller and wife, Nancy, of Easley, S.C.; step-grandson, Will Miller and wife, Morgan, of Hickory, N.C.; and step-grandson, Matthew Miller of Charleston, S.C.
Heartfelt thanks go to the caring and professional members of the CMRSP Board, medical professionals and the many family and friends who have touched Charles’s life throughout the years. We will miss our honorable Southern gentleman’s caring smile, friendliness and kindheartedness, but we will always cherish his sense of humor, his energy and love of life, his generous spirit, his strength of character and his steadfast faith in God. Charles B. Sigmon has touched our lives in profound ways and we feel blessed to have known him, to have been loved by him and to have had the privilege of loving him in return. The family will receive friends on Friday, Jan. 15, 2010, at 12:30 p.m. at Holy Trinity Lutheran Church in Troutman, N.C. A celebration of Charles’s life will be held on Friday, Jan. 15 at 2 p.m. immediately following the visitation at the church. Pastor Matthew L. Miller will officiate. Interment will follow at 3 p.m. at Iredell Memorial Park. Troutman Funeral Home will be serving the family. Memorials may be sent to Holy Trinity Lutheran Church Restoration and Endowment Fund, P.O. Box 308, Troutman, N.C. 28166 or the Stanly Community College Student Emergency Fund, 141 College Drive, Albemarle, N.C. 28001.